Water's Edge is a publication of watercolour paintings thats I've made over the past year. Snippets of female icons from cinema and music merge with found holiday snaps to create real and imagined landscapes. 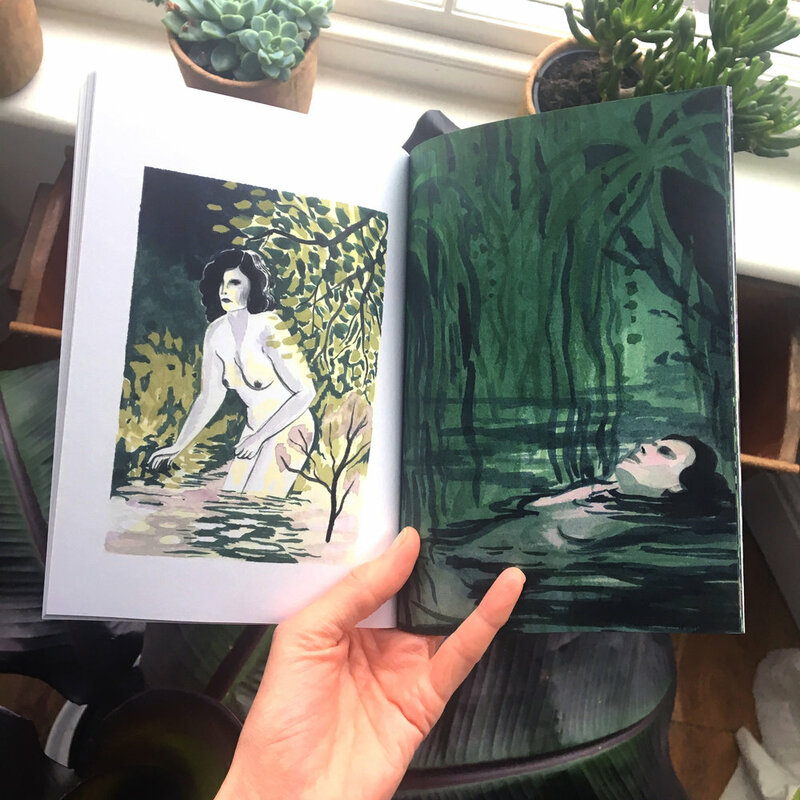 My female protagonists journey through an environment of luminous pools revealing reflective portals; dormant water enclosed by swampy dense, bracken and dark caverns that offer hibernation and shelter.